The Forth Rail Bridge, situated about 15 kilometres west of central Edinburgh, is acknowledged world-wide as a monumental engineering marvel. The bridge, which crosses the estuary of the river Forth between the communities of North and South Queensferry, is a major artery linking the north-east and the south-east of the country. The world-famous bridge is a Category A listed building and was nomi- nated by the British government in May 2011 to be added to the UNESCO list of World Heritage Sites. Construction of the bridge began in 1883 and took seven years to complete. The bridge used nearly 65,000 tonnes of steel, whereas the Eiffel Tower used 7,300 tonnes of wrought iron. It spans a total length of 2,529 metres. The bridge was designed by Sir John Fowler and Benjamin Baker and built by Sir William Arrol. It was deliberately made very strong, to ally public fears after the collapse of the Tay Bridge four years before. Seventy three men lost their lives during the construction. The bridge was officially opened on 4 March 1890 by the Prince of Wales, the future King Edward VII. Sir Benjamin Ba-ker and Gustave Eiffel were among the guests. The Design of the Forth Rail Bridge uses the principle of the cantilever, horizontal structures that are supported ony at one end. Until 1917, when the Quebec Bridge was completed, the Forth Bridge had the longest single cantilever bridge span in the world. It still has the world's second-longest single span. The bridge crosses the waters of the Firth of Forth from Queensferry on the south bank, some 15 kilometres west of Edinburgh, to North Queensferry. The Forth Road Bridge runs alongside it, some distance further to the west. Work on an earlier suspension bridge over the Firth of Forth, designed by Sir Thomas Bouch, was suspended when the Tay Rail Bridge, which he had also designed, collapsed in a near-hurricane storm. The project was completed in the period between 1883 and 1890. Sir Benjamin Baker and Sir John Fowler received the major credit for designing the bridge. Sir William Arrol oversaw the construction. The first four years were de-voted to the building of the caissons used for the construction work and the piers supporting the bridge. A caisson is a watertight retaining structure, used, for example, to work on foundations of a bridge pier. The Tay Bridge disaster had given rise to such public concern that the Forth Bridge was designed to be able to withstand a hurricane. The construction of the bridge was a hazardous enterprise in itself. Sir William Arrol was responsible for building the impressive Forth Rail Bridge and second the Tay Rail Bridge, as well as the Caledonian Railway Bridge over the Clyde and the Tower Bridge in London. William Arrol, born in Houston, Renfrewshire, was the son of a cotton spinner. He started work in a cotton mill at only nine years of age and started training as a blacksmith at the age of 13. He joined a company of bridge manufacturers in Glasgow, but he had established his own business, the Dalmarnock Iron Works, by 1872. He went on to found Sir William Arrol & Co, a leading international civil engineering company, in the late 1870s. The Forth Rail Bridge was the first major structure in Britain to be made of steel; its contemporary, the Eiffel Tower, was built of wrought iron. Large amounts of steel had become available only after the invention of the Bessemer process in 1855. Until 1877 the British Board of Trade had limited the use of steel in structural engineering because the process produced steel of unpredictable strength. Only the Siemens-Martin open-hearth process developed by 1875 yielded steel of consistent quality. The 64,800 tons of steel needed for the bridge was provided by two steel works in Scotland and one in Wales. The bridge and its associated railway infrastructure are owned by Network Rail. The bridge has remained in regular use, carrying the main east coast line over to Fife and eventually onwards to Dundee and Aberdeen, although the stresses placed on the bridge by modern trains are much less than those due to their much heavier steam-powered predecessors. The link between north and south Scotland, permitting faster transport of goods and passengers to and from England, was an important advance, especially from an economic perspective, since it made the north of Scotland much more easily accessible. The Forth Bridge has achieved an iconic status as one of the great feats of Western civilisation. A decade-long restoration and repainting project on the bridge, managed by Network Rail and the multinational infrastructure group Balfour Beatty, was completed in 2012. After the collapse of Tay Bridge, designed by Sir Thomas Bouch, the Forth Rail Bridge project was taken out of his hands and subsequently continued by Sir John Fowler and Sir Benjamin Baker. The bridge was built to carry the two tracks of the North British Railwaythe 1½ miles (2.5 km)over the Firth of Forth between Queensferry and North Queensferry, 46 m (150 feet) above the high-tide level of the River Forth. The use of a cantilever in bridge design was not a new idea, but the scale of Baker's undertaking was unprecedented as were many of the design calculations made - including those taking erection stres-ses into account, the provisions made for reducing future maintenance costs, the calculation of wind pressures (to allay fears raised by the Tay Bridge disaster) and the effect of temperature stresses on the structure. Fowler and Baker delivered what investors and the public demanded, an immensely strong bridge - built not with iron, but with steel. And the project gave an ancient principle of bridge de-sign new currency. Suddenly the word on everyone’s lips was “cantilever”. The cantilever concept was far from being a modern and patentable invention, in fact it went dated back to earliest prehistoric times in China and Tibet. A cantilever bridge is a bridge built using structures that project horizontally into space, supported at only one end. The simplest form of a cantilever bridge had two cantilever arms meeting in the middle. 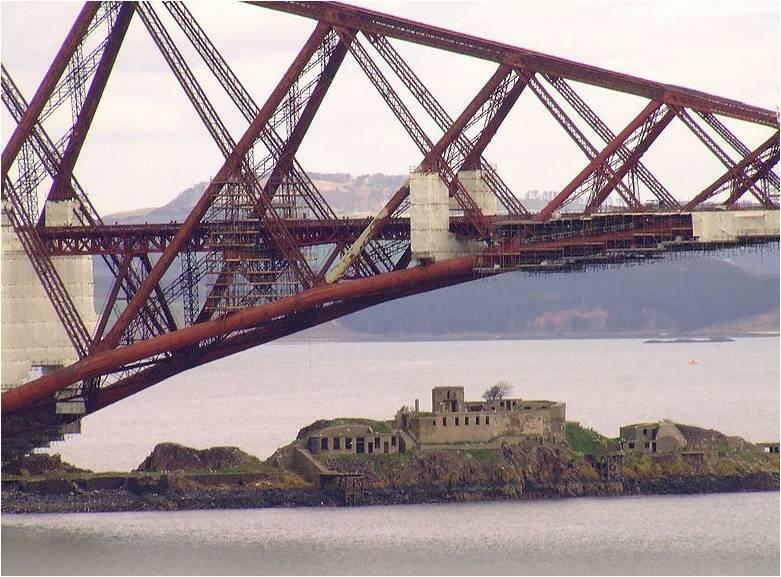 A more advanced type - used in the Forth Rail Bridge - has a suspended span in the middle between the two cantilever arms. 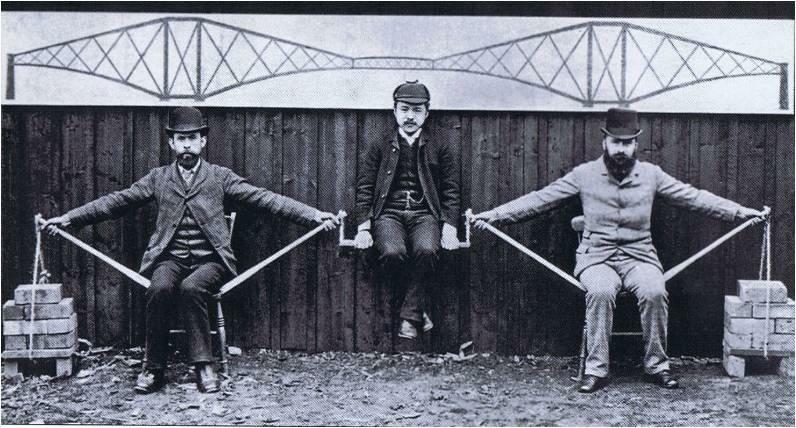 Sir Benjamin Baker illustrated the structural principles of the suspended span cantilever in the photo above, a demonstration staged in Queensferry. The weight of the engineer Kaichi Watanabe in the centre, representing the suspended span, is supported by the arms of the men on either side acting under tension, and the poles acting in compression.The action of the outer foundations as anchors for the cantilever is visible in the placement of the counterweights. The actual structure has three massi-ve cantilever towers each 104m (340 feet) high. The cantilevers for small footbridges, may be simple beams, but large cantilever bridges designed to handle road or rail traffic use trusses built from structural steel, or box girders built from pre-stressed concrete. The steel truss cantilever bridge was a major engineering breakthrough when first put into practice, as it could span distances of over 460 m (1,500 feet). 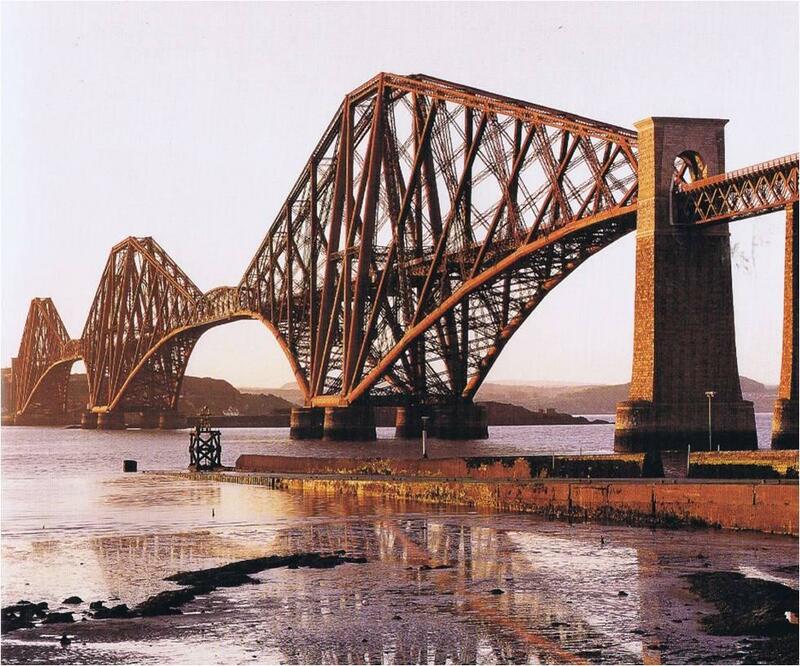 The Forth Bridge is the most famous early example of this type. 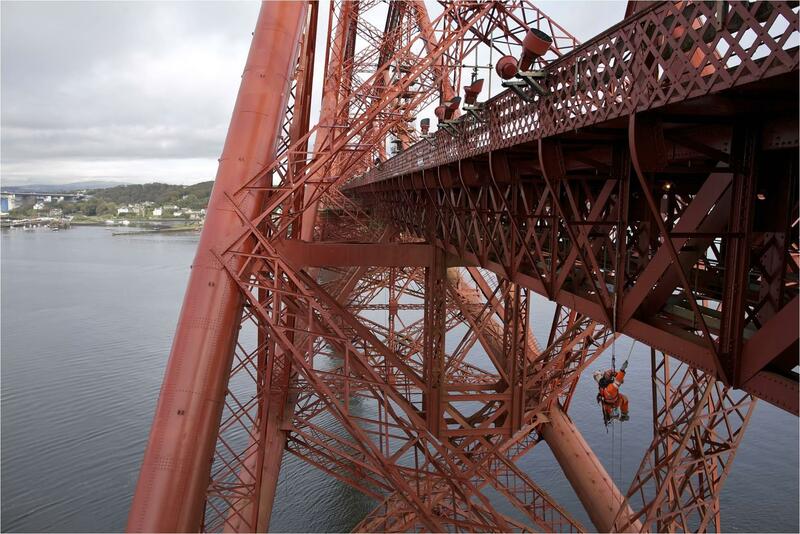 Workmen have been painting the Forth Rail Bridge at the risk of their lives for about a century. 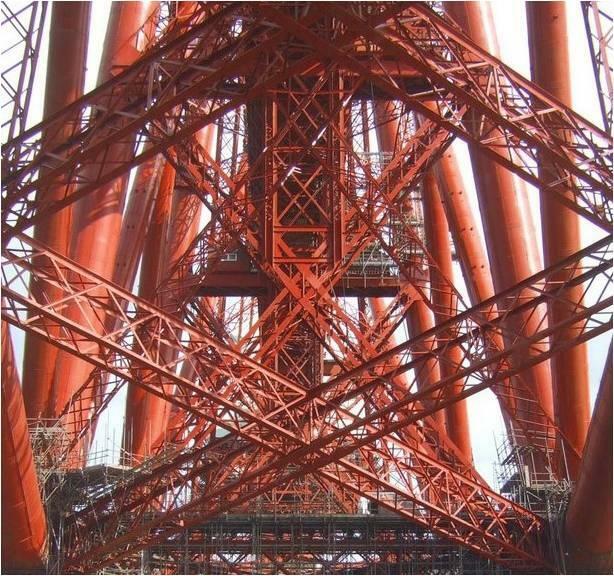 Hence the saying: ”It’s like painting the Forth Bridge” has come to mean a never-ending task. This was indeed the case until Network Rail completed its £130-million ten-year project aimed at encasing the bridge in a specialist glass-flake epoxy paint at the end of 2011. This coating bonds to the steelwork, providing a virtually impenetrable layer which should last at least twenty years. 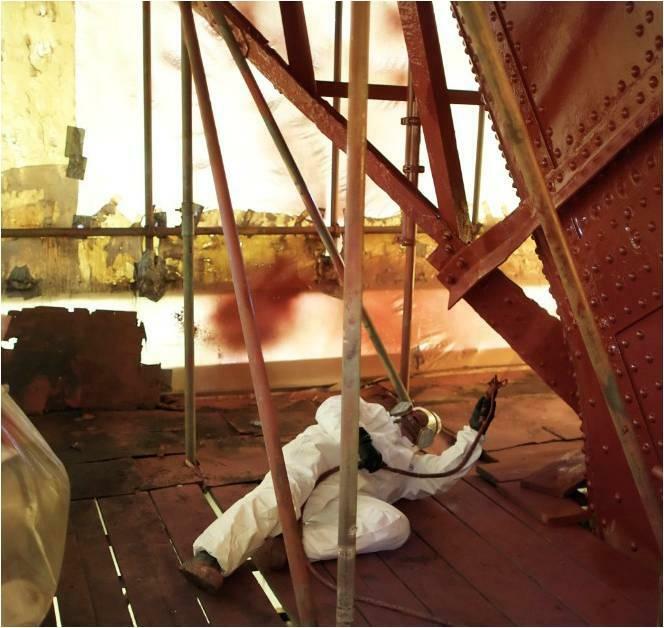 The bridge, which is immediately recognisable from its ’Forth Bridge Red’ paint, has seen thousands of painters working long hours on it under dangerous conditions. The painting of the brdige began in 1890. 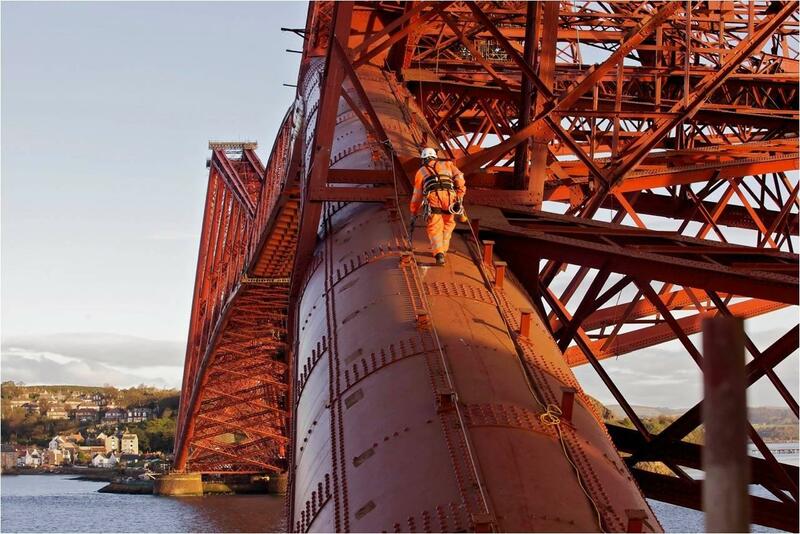 Abseiler Johnstone Campbell paints contact points after removal of the scaffol-ding from the bridge at track level. It is said that the Forth Bridge was built twice - once on land and once over the Firth. © Kieran Dodds, Glasgow, Scotland. The Edinburgh-based writer and social historian Elspeth Wills, is the author of the book “The Brig-gers”, in which she uncovers the human story behind the engineering marvel that is the Forth Rail Bridge. Briggers means bridge-builders in Scots, from the word ’brig’ for bridge. Much of the material for the book was collected by the indefatigable team of Queensferry researchers Frank Hay, Jenni Meldrum, Len Saunders and James Walker, who have spent years tracing the stories and the names of those who died - often very young (sometimes in their teens)- during its construction. Jim Walker played a key role in the work of the team. He was fascinated by every aspect of the history of the bridge and the men who worked on it over the years, and he infected his fellow-researchers with his enthusiasm. This story - of ordinary men working on an extraordinary structure in an often hostile and dangerous environ-ment - has never been told before. Recognised throughout the world as an enduring icon of Scotland, the Forth Bridge is more than just a tes-tament to the genius of Victorian engineering, it is a monument to all those who worked to realise the vision of its designers and to the scores of lives that were lost in the construction process. In this ground-breaking work, Elspeth Wills gives a voice to the forgotten heroes who helped to make the ambition of the bridge-builders a reality. She brings the thousands of men who worked on the bridge back to life, telling who they were, where they came from, what their working conditions were like, and what their impact was on the sleepy communities below the immense structure. Many young men died during the building of the bridge. The book describes the dangers that the Briggers faced from caisson disease and painter’s colic to simply being in the wrong place when scaffolding collapsed or a hammer dropped from above. For the first time the faces of individual Brig-gers emerge from the shadow of their bridge, thanks to the latest digital technology and the collec-tion, recently acquired by the National Archives of Scotland, of the work of engineer Evelyn Carey, the only person officially allowed to take photographs on the bridge. The research of the Briggers team culminated in the erection of bronze memorials to the 73 men who died during the construction work at both ends of the bridge, in Queensferry and North Queensferry. A splendid view of the Forth Rail Bridge with Inchgarvie, a small island in the Firth of Forth, in the background. Inchgarvie, which means “rough island” in Gaelic is uninhabited today, but there are records of previous occupants dating vack to the late 15th century. The foundations for Thomas Bouch’s Forth Bridge were built on the island in 1878, and their remains may still be seen there today, but these plans were abandoned after the Tay Bridge disaster. 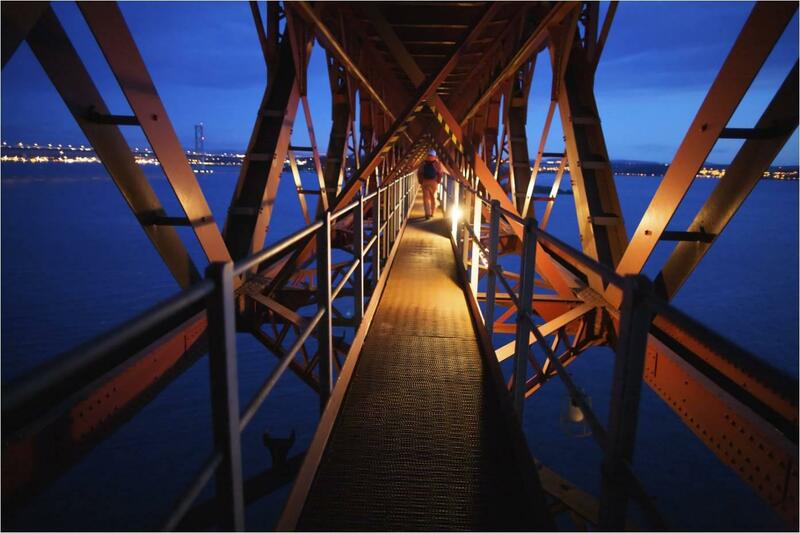 A pier built at one end of the Island was later used as the foundation for one of the Forth Bridge’s cantilevers. A bridge worker makes his way along the walkway under the railway track at the start of the morning shift. © Kieran Dodds, Glasgow, Scotland. Sprayers have to be unusually flexible and agile to deal with the complex structure of the bridge. © Kieran Dodds, Glasgow, Scotland. Elspeth Wills, the author of “The Briggers”, has also celebrated the remarkable achievements and inventiveness of famous and less well-known Scotsmen in her book “Scottish Firsts”, where she explains how a number of great men from a small country helped to shape the modern world by their inventions. The end of the 18th century and the early 19th century formed a period of such great creativity that it has been called the Scottish Enlightenment. Scottish industries, universities and laboratories brought forth a host of far-sighted individuals whose revolutionary ideas and experiments led to great inventions. “Scottish Firsts” throws light on the deeds of a number of coura-geous Scottish explorers who have left their mark in some of the world’s most extreme environments. The Scots also established the world’s first Chairs of anatomy, engineering, naval architectu-re and technology. History shows that the Scots were great drea-mers, creators, builders, innovators, inventors and discoverers. The Scots rightly take pride in the history of Scottish invention and discovery. Scotsmen excelled in innovations in the fields of road transport (macadamised roads, pioneered by the engineer John Loudon McAdam), civil engineering (canal, bridge, dock and crane design), the invention of tubular steel, aviation, shipbuilding and heavy industry. Some of the most significant products of Scottish ingenuity include James Watt’s steam engine, improving on that of Thomas Newcomen, the pedal bicycle, the telephone invented by Alexander Graham Bell, John Logie Baird’s invention of television, Alexander Fleming’s discovery of penicillin, James Clerk Maxwell’s theory of electromagnetism and Robert A. Watson-Watt’s pioneering work on radar. Scottish scientists have made major contributions to ecology, and Scottish engineers ha-ve worked on key infrastructure projects. Scottish explorers inclu-ded the world-famous David Livingstone and Mungo Park, both of whom died in Africa, while closer at hand Scottish geologists discovered the richness that lay literally beneath their feet. So it happened that these discoveries fuelled the Industrial Revo-lution and made Glasgow “the workshop of the world”. 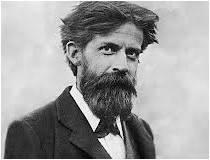 Sir Patrick Geddes is known for his innovative thinking in the fields of urban planning and sociology. He introduced the concept of regional planning and coined the term ’conurbation’. While he thought of himself primarily as a sociologist, it was his com-mitment to close social observation and his ability to turn his observations into practical solutions for city design and improvement that earned him a place among the founding fathers of the Britsh town planning movement. 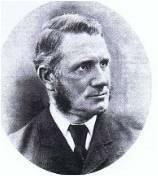 Sir William Fairbairn was a civil engi-neer, structural engineer and a ship-builder. He founded his mill-machinery business together with James Lillie in 1817. He was a lifelong learner. 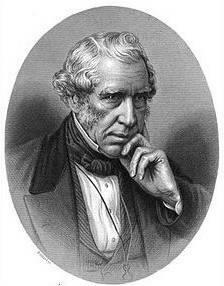 In the 1820s and 1830s he and Eaton Hodgkinson explored the optimum cross-section for iron beams. He invented tubular steel (also known as cold-formed steel), which is made by rolling or pressing thin gauges of sheet steel. Cold-formed steel is widely used as a construction material in buildings, bridges, railway coaches and highway products. 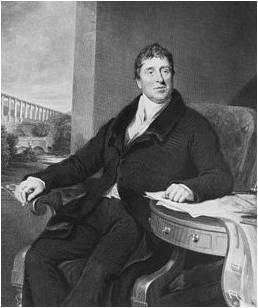 Thomas Telford was a Scottish civil engineer, architect and stonemason, a noted road, bridge and canal build-er, and even a poet. After establishing himself as an engineer of roads and canals, he designed numerous infra-structure projects in his native Scot-land, more than thirty bridges, as well as tunnels and harbours - including the well-known St. Katharine Dock in London. Such was his reputation as a prolific designer of highways and related bridges that he was dubbed The Colossus of Roads (by analogy with the Colossus of Rhodes, one of the Seven Wonders of the ancient world). He was elected the first President of the Institution of Civil Engineers, a post he held for 14 years until his death. 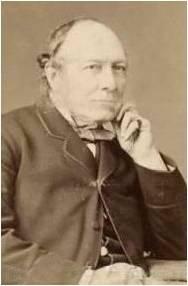 Thomas Stevenson, a pioneering lighthouse engineer, meteorologist and father of novelist Robert Louis Stevenson, designed over thirty lighthouses in and around Scotland together with his brother David. His designs, celebrated as ground- breaking, ushered in a new era of lighthouse creation. He studied at Edinburgh University and was a co-founder of the Scottish Meteoro-logical Society.